Dr. Gurukaran, MRCS, DNB, M.Ch, Personiks. Tummy tuck surgery, it is also known as abdominoplasty. This surgery removes excess fat and skin in the abdominal profile that is smoother and firmer. 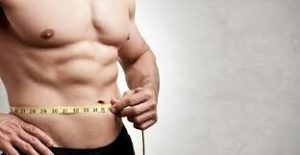 Generally, this surgery is for men who go through weight loss and find their abdominal muscles are weaker and the skin in that area has become looser. An abdominoplasty is indicated when excess skin of both the upper and lower abdomen exists. Normally, when there is excess skin of the upper abdomen, there is also laxity of the upper abdominal wall as well, requiring a surgical approach of this type. Occasionally, there are cases where the skin of the upper abdomen is minimal or not at all excess, but the upper abdominal wall is so flaccid that this approach is necessary, although no upper abdominal skin is to be removed. In these cases, there are also some other approaches, such as “float the navel,” which will be discussed later. The standard tummy tuck is the most common of the four procedures in my practice and probably for most plastic surgeons. General Anesthesia is given to the patient during the abdominoplasty procedure. Two incisions will be made for abdominoplasty. The first one is from hip bone to the hipbone on both sides, nearer to the pubic area, and the other incision around the navel. Based on the amount of excess skin, shape, and length, the incision is defined. The weakened abdominal muscles are treated by lifting the abdominal skin. To remove excess skin in the upper abdomen a second incision is required around the navel. Then the abdominal muscles are pulled together and stitched into place for a more narrowed waist and firmer abdomen. The excess skin is cut down and the remaining skin is sutured together. The bellybutton is reattached to a natural position. The incisions are closed and a sterile dressing like sutures, skin adhesives, tapes or clips applied over the area. The excess skin was removed, a new hole was made on the abdominal flap and the navel is now passed out through this hole and sutured to this hole. Your tummy tuck will result in a flatter and firmer abdominal shape that is more balanced with your body type and weight.